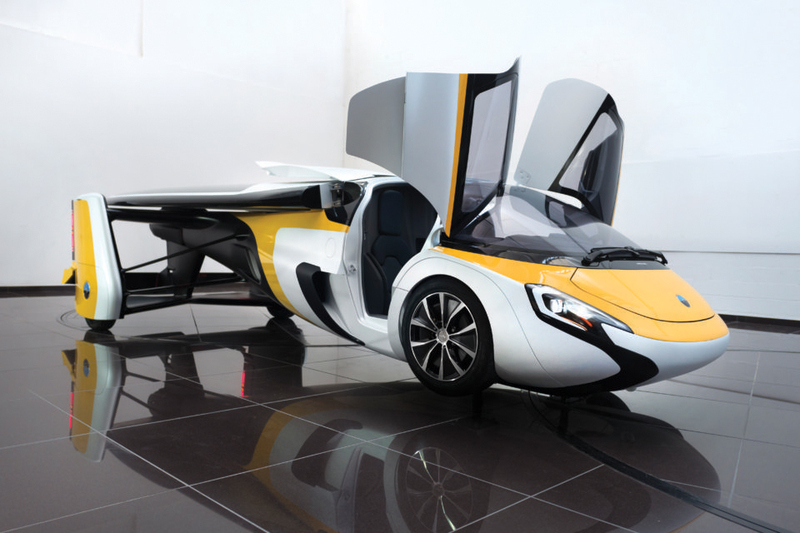 The concept of the flying car has been in the public’s mind for generations. Since The Jetsons, humans have fantasized about a vehicle that can fly and drive effectively without sacrificing utility in the air or on the road. Many organizations have claimed to build it, only to have the product massively under deliver upon release. That is no longer the case. 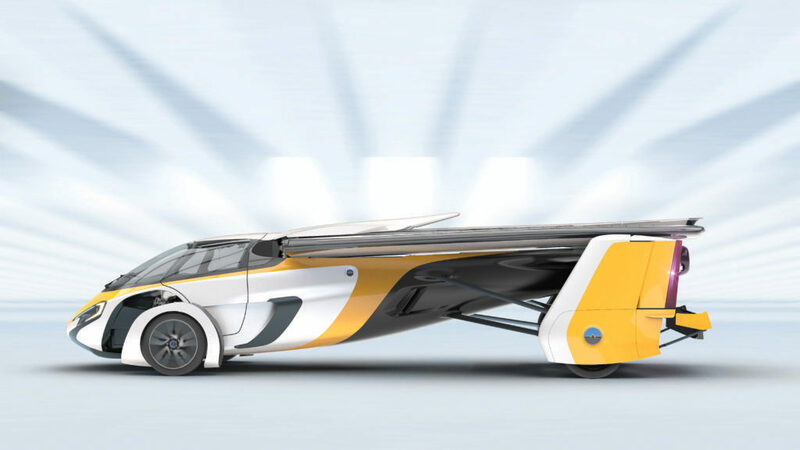 AeroMobil has accomplished a tremendous feat in both automotive and aviation industries, creating the first consumer grade, aeroplane-car hybrid. AeroMobil’s approach while designing their revolutionary vehicle demanded tremendous amounts of creativity and imagination. 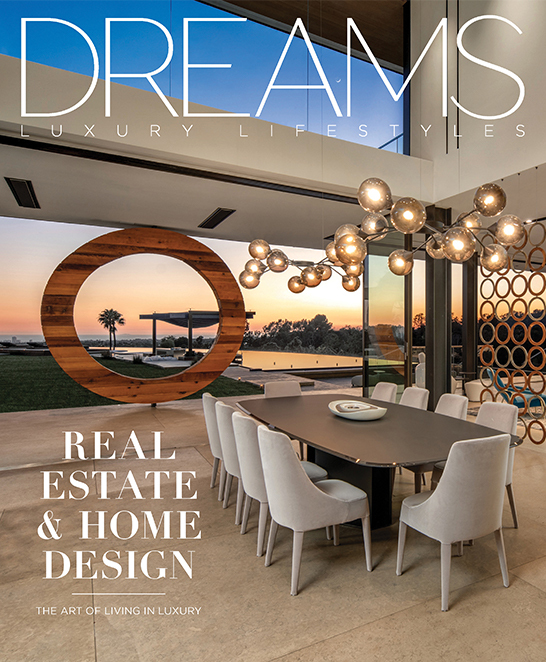 The approach focused on utilizing the latest scientific knowledge, technological innovation, and the long career experiences of an international team of sixty, a team that has overseen the creation of several iconic sports cars and aeroplanes. The view from AeroMobil’s vantage point, a view from which you can literally touch the clouds, leaves no doubt that this is an exceptional vehicle. It’s a real flying car, with all that a car and an aeroplane have to offer. Because of its true flexibility, you have a choice: road or air. The choice is ultimately up to you, but, with a full transformation into flight mode in less than 3 minutes, where can you go wrong? Whether you choose to be aerial or earthbound, AeroMobil will turn heads. AeroMobil, an advanced engineering company, unveiled the new model of the AeroMobil Flying Car earlier this year at Top Marques Monaco, the world’s most exclusive supercar show. This launch fulfills the company’s commitment to deliver a commercially available flying car in 2017 and to be ready to take pre-orders for the limited first edition. The unveiling of the groundbreaking AeroMobil underlines its leadership in this innovative sector and the company’s determination to transform travel by making the flying car a reality. The AeroMobil Flying Car has been inspired by a desire to give customers true freedom of movement in a vehicle that is both extraordinary and exciting, while also being efficient. It is designed to offer customers the choice of all the functionality and flexibility a car and an aeroplane can provide. With the ability to travel in almost any weather condition, its dual mode allows it to cut travel times compared to traditional short haul airline flights ranging up to 1,000km as its powerful engine enables greater range and offers more efficient use of energy. AeroMobil has been designed with safety, quality, creativity and innovation at its heart. The exterior is highly aerodynamic, utilizing the latest carbon composite construction found in the most sophisticated sports cars and performance aircraft to make the flying car lighter and stronger. The wings are similarly constructed using advanced pre-preg composites to ensure confident handling and high maneuverability, while the suspension geometry adapts to the varying conditions of road and air travel to allow for normal and extreme use. Safety and control are of paramount importance both in the air and on the ground. When airborne, the flying car is designed to demonstrate stability and predictability with a flight envelope comparable to existing small aircrafts in the field of general aviation. The vehicle’s cockpit is designed to surround the pilot and co-pilot in a high strength monocoque structure that is capable of absorbing and distributing crash and impact energy while maintaining interior integrity. It also incorporates the very latest in vehicle recovery ballistic parachute technology, designed to bring an airborne vehicle back to ground safely should the pilot choose to deploy it. While traveling on the road, the occupant restraint system uses pyrotechnic seatbelt technology in conjunction with dual-stage airbags, which are equally capable of offering occupant protection should the vehicle get into difficulties while operating as a plane. 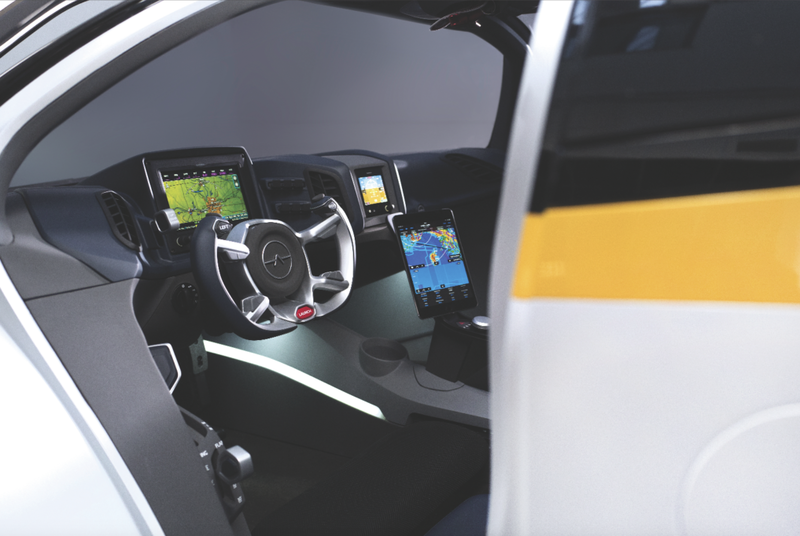 The interior of the flying car combines safety and lightweight design with innovative features to ensure the control systems are recognizable and intuitive to use. The flight control systems transform seamlessly into automotive controls in seconds with absolute predictability and confidence. AeroMobil has a custom 2.0 l turbo charged 4-cylinder boxer internal combustion engine with a FADEC (fully autonomous digital electronic control) unit. 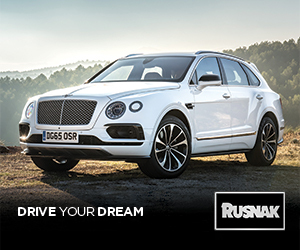 On the road, it is powered by a dedicated electric front wheel drive system incorporating electronic differential and an adaptive transmission delivering both road-going functionality and direct drive during flight. The latest version of AeroMobil is purposefully designed as a breath-taking, highly desirable, truly niche, high-technology luxury vehicle. 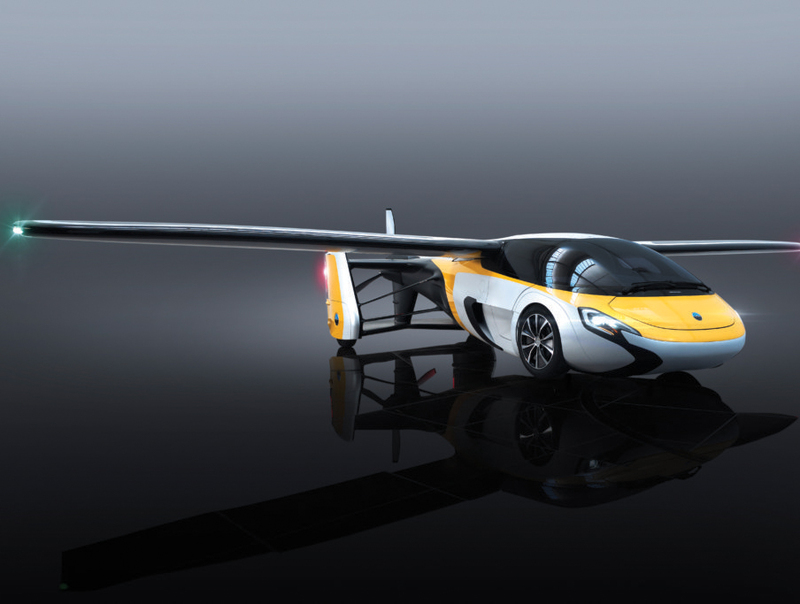 It aims to demonstrate the team’s unique engineering capability and to position AeroMobil as the desirable brand at the forefront of a new, but rapidly evolving flying car industry. Looking towards the future, the strategy is to develop a series of models in different price categories to meet a variety of identified market opportunities, ranging from personal travel to the ultimate target of a mass market mobility-as-a-service offering.